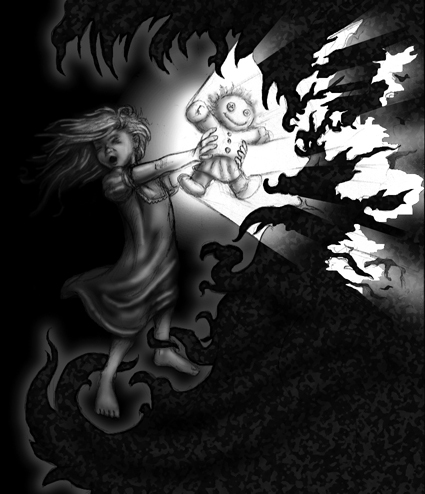 Welcome to the seventh of the 13 Doors: an exclusive look behind the door at the upcoming Little Fears Nightmare Edition – The Game of Childhood Terror. The small press roleplaying game scene has really upped its visual game in recent years. I don’t know if you’ve checked out the scene lately but there is some really gorgeous stuff out there. When it came to putting together the look of Little Fears Nightmare Edition, I had a couple ideas in mind for the logo and trade dress but I was really sweating the illustrations. My original hope was to use one artist throughout but that just wasn’t possible. So, I decided to get creative and look at the resources I had available. Back when the original Little Fears was all shiny and new, I was fortunate enough to be approached by a pair of excellent overseas publishers who showed interest in bringing the game to their markets. The first was 7eme Cercle, the publisher of the French editions of Unknown Armies and creators of Qin, the Warring States. 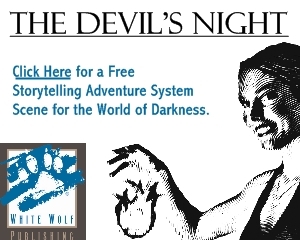 The other was Feder und Schwert who were the publishers of the German editions of World of Darkness, D&D 3e and 3.5e, and the creators of Engle. They each put together beautiful versions of the game. I was very fortunate to have such high-quality editions in the Little Fears universe. When I started working on Little Fears Nightmare Edition, I contacted 7eme Cercle and Feder und Schwert about using some of the artwork from those editions. I was lucky enough to work those connections and get in touch with the artists. But it won’t only be images from foreign editions. There is new artwork as well, from Little Fears favorites and some new folks as well. I have some very kind and generous friends who worked on pictures for the book. Some of them will be in the mainbook and others will be in online supplements. I was fortunate enough to have more pictures than I needed! It’s a good problem to have for a one-man band on a budget. 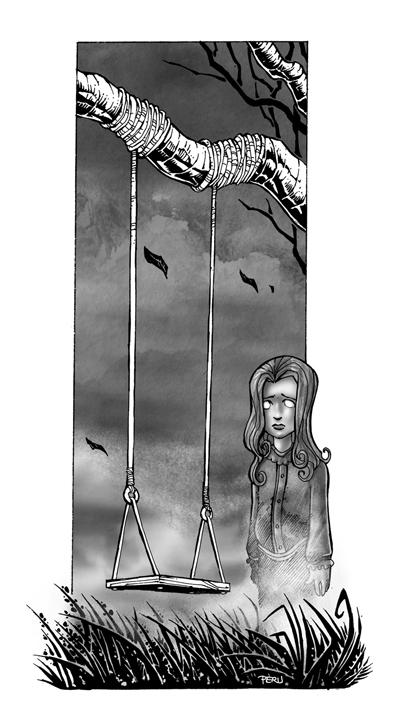 And that’s a look at the visual side of Little Fears Nightmare Edition. I hope you enjoy what you’ve seen. Come back next week for another column and another peek behind the door. If you haven’t already, be sure to stop by littlefears.com and vote for which of the seven monsters from the original Little Fears you would like to see return in the Nightmare Edition. Note: During my search for new and old illustrations, I learned that the other half of the Peru Brothers, Stephane, had passed suddenly at a young age. The book is dedicated in part to him. He was a brilliant artist whose career was only beginning. The world of art is poorer without him. 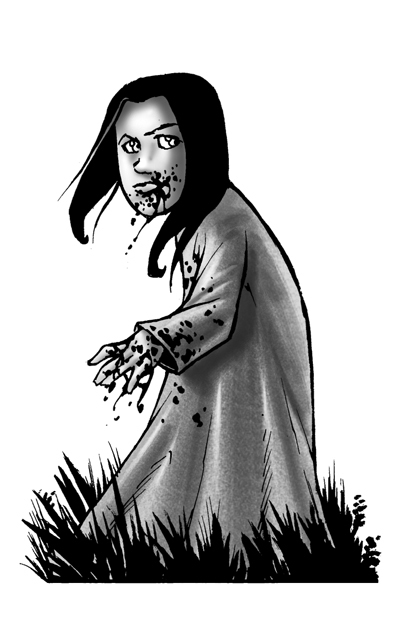 Little Fears is a pen and paper roleplaying game that was released in 2001. 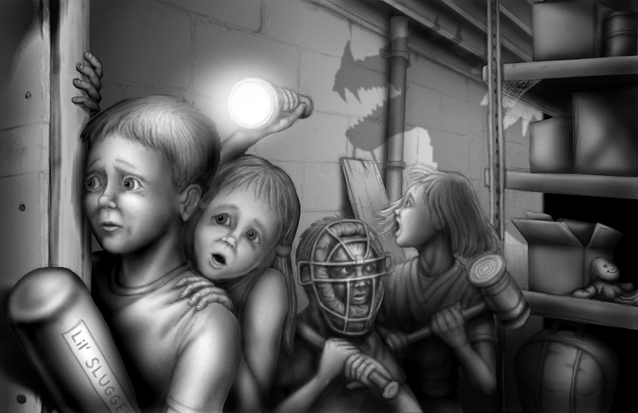 In it, players portrayed children aged 6-12 who fought monsters that came to our world from a place called Closetland. A completely overhauled version, Little Fears Nightmare Edition, is currently in development. 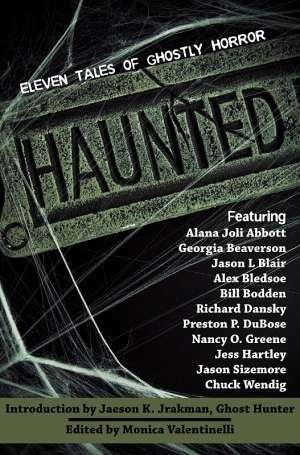 Partnered with Flames Rising, Jason L Blair (the author of Little Fears and Little Fears Nightmare Edition) will provide 13 exclusive looks beyond the door at the new edition including fiction, art previews, and more. For more information, visit www.littlefears.com.